As a parent, you are probably already purchasing items for your household that would automatically give money back to Boulder Creek Elementary. Here are some quick tips and links to help you give money back to the school effortlessly. 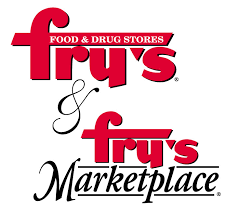 You can link your Fry's VIP card to Boulder Creek by registering your card online at www.FrysCommunityRewards.com. This will link your purchases to Boulder Creek. You need to repeat this at the beginning of every school year. The Box Tops program is an easy way to earn money for our school. There are hundreds of products that you are probably already buying today that have Box Tops on them. See a list of products by clicking HERE. All you have to do is clip the Box Tops and send them into the school in a baggie or on a collection sheet provided by your teacher. The school has two deadlines for Box Tops submissions each year (this year: Nov 1st and Mar 1st). Our school receives $0.10 for each Box Top received. It's THAT easy. Turn your shopping receipts into donations for your school. It's that simple. Click HERE to download the app. Simply shop for any product, at any store and then take a picture of your receipts through the app. 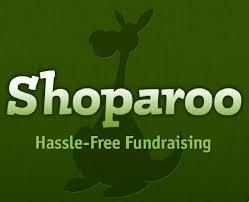 Shoparoo donates directly to our school.. You can also track the earnings directly from the app, down to the specific teachers and classrooms. If you or someone you know is in the market for a new mattress, visit www.tuftandneedle.com/givesback and select Boulder Creek Elementary PTSO from the available drop down menu. From here, purchase your mattress as normal and Tuft & Needle will donate 25% of the purchase price to the Boulder Creek PTSO. Looking for some fun activities to do with the family? 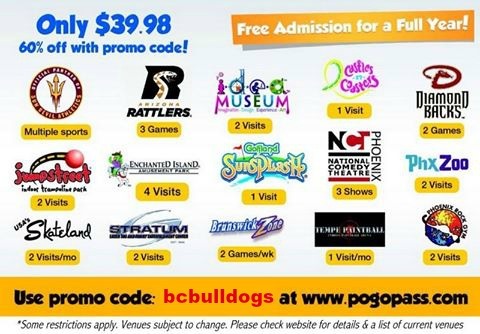 Support your school AND get a 60% discount on a Pogo Pass for your family. The Pogo Pass entitles you to free admission for a full year at these LOCATIONS. Just use promo code: bcbulldogs when ordering at www.pogopass.com.